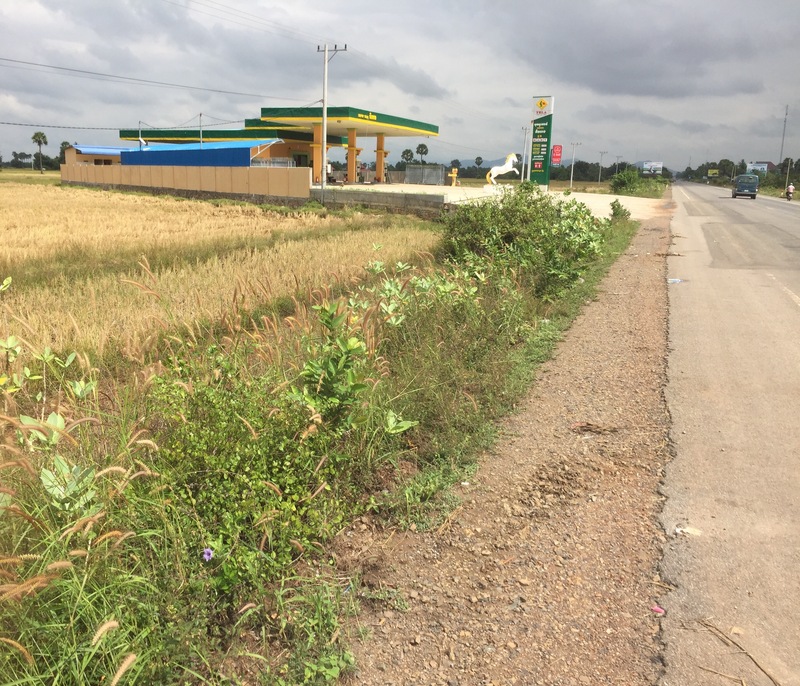 We were amazed at the number of large petrol stations that dotted the rice fields and roadside as we cleared Phnom Penh yesterday. Today, as we cycled the rural Highway 3 south, 87km from Takeo to Kampot, we decided to count them. This is no. 39 of 59 we passed, averaging around one for every 1.5km travelled. It is a particularly grand petrol station as someone has decided to erect a statue of a concrete horse, garishly painted, in front of the forecourt.